When it comes to wearing shirts they can be fitted into anyone's style and can be worn to make an outfit casual or formal. 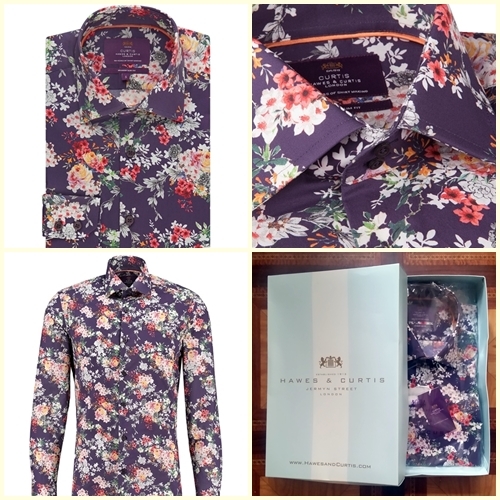 Hawes & Curtis offer a wide selection of shirts that appeal to any mans sense of style, bringing looks to the customer that can be worn through out the day and night. If your not familiar with Hawes & Curtis their history and experience speaks for itself and is famous for its quintessentially British menswear and womenswear ranges. 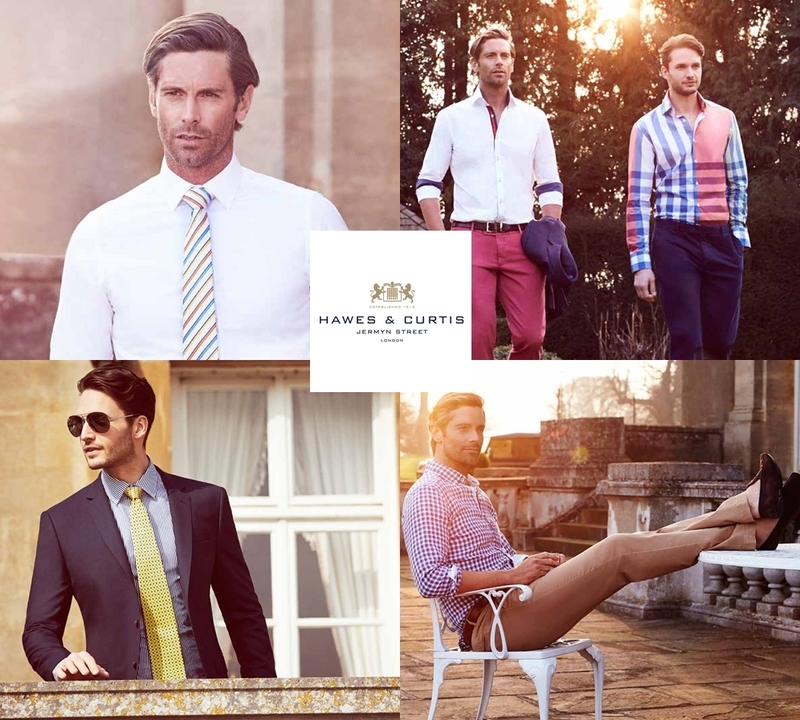 Hawes & Curtis is an internationally recognised brand attracting customers from around the world with its prominent online presence and international expansion. If you wear a suit for work and want to change the look of your work outfit, the easy option is to add just a hint of colour to your shirt. This can change the look of your business suit to something more fashion forward bringing your taste and personal style to the office without looking out of place and offers a new option for you from the white shirt look. If you are not feeling daring then stick with pale colours like blue, pink or light yellow to bring a hint of colour to lift, your suit of the day. Patterned shirts are a great way to bring your own unique style to any outfit and can easily be introduced into your wardrobe. 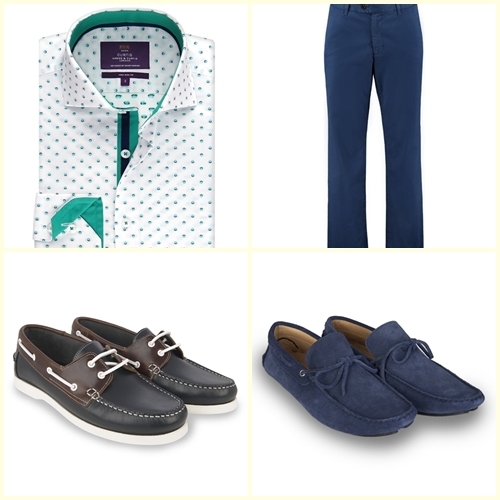 A patterned shirt can be worn with a suit to bring texture and contrast but can also be worn with chinos and jeans. 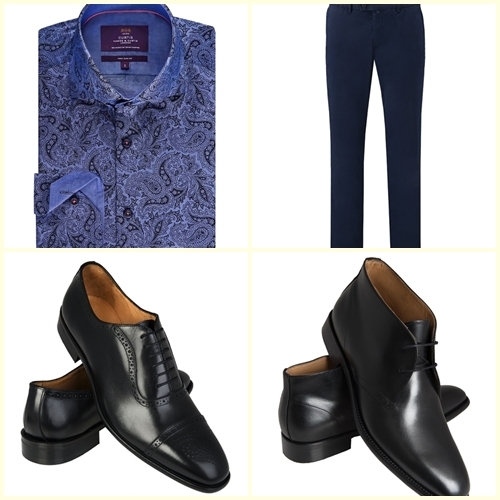 The formal look can be achieved by helping your choice of outfit to look sleeker. Keep the shirt design uncomplicated and make sure you button up all the buttons whilst throwing on some brogues, your be looking smart in whatever venue you attend. The casual look is any excuse for you to experiment and see what works for you and doesn't. You can play around with any pattern design to see what works with or against, your favourite pair of jeans or chinos. You can also transform to the casual look instantly by wearing a vest or t-shirt underneath your chosen shirt and by wearing the shirt open or buttoned half way, you can then bring the casual look together with trainers or boat shoe. Hawes & Curtis offer a wide range of menswear and offer a handy size guide and how to measure, on their website. All pictures shown are from the extensive fashion range and their shirt range, which offers simple to fashion forward designs to include and appeal to everyone's tastes. The sizes they include are for every man of every shape for a slim, tailored or classic fit. which arrived in a high quality presentation box to help keep and store your shirt safely when not in use. What is great about the whole shirt range is that each piece can easily be fitted into a capsule wardrobe, mixing and matching to create new looks within your wardrobe limitation. Take a look at their incredible high quality fashion range of mens shirts and discover the looks that you can achieve with your own unique style. X Neil. 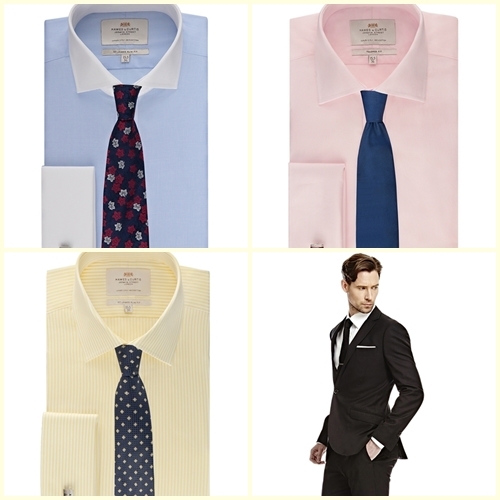 Do you have any post or suggestion, which brand is good for mens dress shirts in USA? I bought some from different brands but they are not that good. Sorry to hear that. I would suggest you do a google search of "Mens dress shirts" and see what suits your style, if you do order online then makesure the company offers returns and refunds so you can send any back that your not happy with. Hope that helps as I'm a UK blogger so don't know what brands are close to you and i don't know your current style, best wishes.